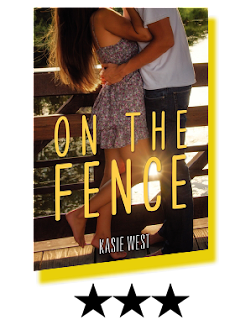 On The Fence is the first Kasie West book I've read and I was pretty pleased with it. The cover alone is sort of misleading though because it gives the impression of a girl and a guy falling in love which is essentially what happens but the characters are so different. Charlie is no girly girl. Actually at times it's hard to tell she is a girl if you just look at the surface. She loves all kinds of sports and she gets down and dirty with the best of them. Having all brothers I can imagine how that's possible. If I had only brothers I'd probably be the same way. I sort of admired that about her character. I liked that she didn't allow herself to be forced into the whole be a girl thing. It was endearing to watch her learn, though. It was also sort of heartbreaking watching her try and having to learn on her own. The brothers were pretty much how I imagined them to be. Their characters were sort of secondary and sort of primary at the same time and I liked that. They were weaved into the story well. I guess my only gripe/not gripe about the book was that things moved pretty slowly. It's sort of a good thing and sort of a bad thing. It was good because there was no insta-love. But, it also sort of made the story drag a bit. I guess I'm a bit on the fence about that part. Overall I enjoyed the book. I liked the way it came around by the end. It wrapped up pretty nicely. 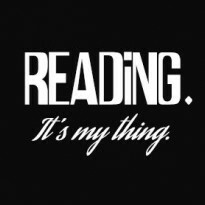 I'm not in love with it but I would definitely read other books by the author. Initially I was going to give this book three stars but once I got through to the end I bumped it up to four. The main reason I wavered between three and four stars is because I found that this novel lacked some of the spark and fire that was so present in Beautiful Disaster. I really don't like to compare new books to previous books but I can't deny that a tiny part of me felt a little disappointed but fortunately it didn't take away too much from the story. Trent is a sort of tamed (just a bit tamed) version of Travis. He still has that same volatile personality but it's fairly of tame compared to Travis but I found that endearing. He was easy to love right from the very start, from the very minute of meeting him I felt a little patter in my heart for his character. He's very forthcoming but he still managed to woo me with how sweet he was. He was sweet in the most manliest way, of course. Cami was fierce and I loved that. She stood her ground and I appreciated her for it. She didn't let her circumstances change her into some weak needy girl. Even when I felt like she would break my heart for her decisions she managed to impress me with how quickly she recovered saving me from suffering. 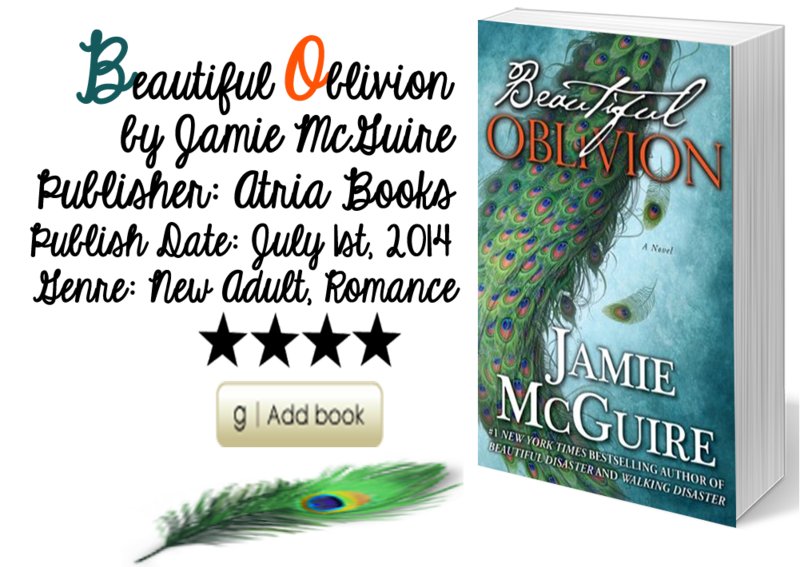 I think readers will enjoy the chance to see Beautiful Disaster from a completely different point of view. There were pieces of Beautiful Disaster trickled into the story in a subtle but sort of obvious way and I liked seeing those glimpses of Travis and Abby's story. 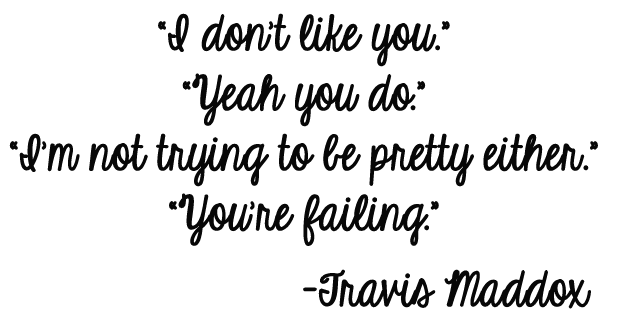 The entire story is endearing and will please Travis Maddox fans, and the ending...wow. What a twist. I cannot wait to meet the other brothers. Juneau is a teenaged girl who has believed for her entire life that World War III has ravaged the world and only herself and her "clan" have survived. <---This is the most interesting part of the story. Juneau while fierce and strong is completely misguided by the lie that her entire clan has built around her. After returning from a hunting trip she discovers the entire town has vanished and so she sets off on a heroic adventure to find them. It is through her journey that she discovers the fallacies that have surrounded her for her entire life. She discovers that all she has ever known is a lie, and it completely changes her life. While the initial idea of this novel is both unique and intriguing it just fell flat, really flat. After the initial excitement of the potential adventure wore off I found myself bored, like really bored. The story went nowhere. It dragged on and on for far too long and it never got interesting. Juneau's journey to find her "clan" just went on for pages with no resolution. I felt myself waiting for this great "moment" that never happened. I'm pretty sure they (author, and publishers) left all that for the second book. I'm also questioning whether or not this book should even be shelved as dystopia. 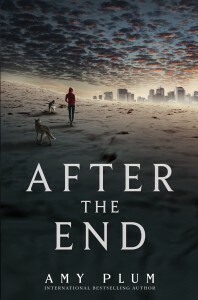 Dystopian novels tend to hold a sense of foreboding, and excitement that this book severely lacked. I don't know what went wrong but it just did. I'm pretty disappointed too, because I really enjoyed Plum's previous series/saga 'The Revenants.' BUT, this one holds no place amongst those novels. The relationships are pretty one dimensional and uninteresting. The romance was ill timed and blah. It was just...boring. It took me far too long to get through the book and it really wasn't worth it.